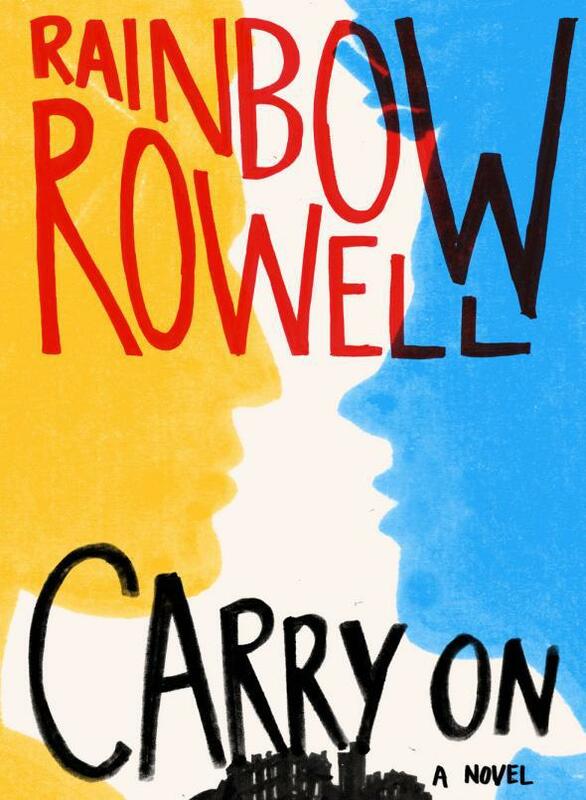 Carry On by Rainbow Rowell, reviewed. Rainbow Rowell’s new YA novel, Carry On, tells the story of a teen boy named Simon Snow, now in his eighth and final year at Watford, a magical school hidden away in Scotland. Simon had been an orphan living among “Normals” before “the Mage” scooped him up. According to a prophecy, he is destined to fight “the insidious Humdrum” and save the World of Mages. If this sounds familiar, obviously it is: Carry On is a full-on, self-aware Harry Potter rip-off. Though Rowell’s magical world has a few of its own conventions—some magicians use rings and belt buckles instead of wands; there’s no Sorting Hat, but there is a Crucible that pairs roommates; spells are cast with an emphasis on familiar-sounding phrases and language—most things map pretty closely onto the Potterverse. But the achievement of Carry On is that, even with a template more or less designed by someone else, Rowell has written a book that conjures Rowling-esque magic just as effectively as J.K. Rowling herself—and yet still feels like something new. Simon Snow was originally an invention for Rowell’s previous YA novel, Fangirl, about a college freshman named Cath who writes fan fiction about a character named Simon Snow. Carry On doesn’t purport to be written by Cath, or by that book’s book-within-a-book, also-made-up author, Gemma T. Leslie (a Rowling knock-off of sorts). It’s pitched as a separate creation by Rowell, who writes of the novel on her website, “I wanted to explore what I would do with this world and these characters.” So technically this book is somewhere between Harry Potter fan fiction and Rainbow Rowell fan fiction written by Rainbow Rowell. And in the end, it’s a testament to just how good—and even, in its own way, original—fan fiction can be. Fantasy might seem like a surprising genre for Rowell. Her breakout book, Eleanor & Park, was a love story between teenagers in ’80s Nebraska, completely devoid of wizards and elves. It seemed like it was part of a larger trend in YA toward realism, inspired by the success of John Green’s novels. As A.J. Jacobs wrote in the New York Times Book Review in 2013, “Of all the young adult genres—the Dystopian Hellscape, the Human-Monster Romance, the Elite School-or-Camp for Nonmortals—the most popular right now may be the quietest: Aspiring John Green.” And I admit that I put Rowell in that column, which Jacobs called “GreenLit,” in my head, too. But Fangirl should have been a clue that Rowell belongs in a column of her very own. It had the realistic love story aspect to it, a cute college romance, yet it also contained passages that were supposed to be excerpts from the “real” Simon Snow novels, along with bits of Cath’s fan fiction. By writing about the world of fan fiction, Rowell was showing her own fangirl bona fides. On Twitter, she recently raised money for charity by classifying some of her characters into their would-be Harry Potter houses, and on Tumblr, she posts about the fandoms she’s a part of like she’s “just another user.” She even made Cath a writer of “slash” fiction, which is an insider term for fan fiction that focuses on male-slash-male relationships. Just as many an enterprising fan fiction writer has run with the idea that Harry Potter might have actually been in love with the evil Draco Malfoy, Cath’s “fics” focused on the possibility that hero Simon Snow was meant to be with his archnemesis, Baz. The Simon/Baz scenes weren’t my favorite parts of Fangirl—they felt like a distraction from the book’s central storyline—and when I saw Rowell speak at BookCon earlier this year, she mentioned that some readers told her they skipped over them outright. So I was a bit wary of how Rowell would transition from swoony teen romance to full-on fantasy. But here, she is clever about the way an obsessive rivalry can feel not all that different from an obsessive crush. Simon and Baz circle each other throughout the first half of the book, each hyperaware of the other’s movements—“I can feel Snow’s eyes on the back of my head,” Baz narrates, and in the next chapter, Simon thinks, “I already feel like I need to know where he is at every moment.” This enemies-or-are-they storyline this allows Rowell to play to her strengths, which means less magical politicking and more vulnerable people falling in love. Carry On, which is framed as the eighth book in the “Simon Snow series” even though Rowell hasn’t written any of the other books, benefits a lot from being able to dive into the action without getting too bogged down in all the castles, amulets, and mythical creatures. The lack of context lightens everything in a way that feels perfectly suited for YA. You’re able to see the characters in the moment, rather than burdened by years of history. You skip the world-building and get right to the drama and emotion. And you’re definitely able to just go with it when the story takes a turn for the slash. In Fangirl, at one point Cath gets in trouble in her creative writing class for turning in fan fiction. Her professor insists that it doesn’t count if she didn’t create the characters and the world in the first place. But Carry On makes a case for fan fiction’s literary legitimacy. It’s not easy to mimic, deconstruct, and remix the elements of a magical world in the way Rowell has here.